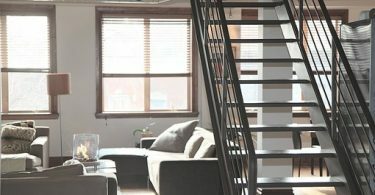 Whether it’s by choice or by necessity, going sans coffee table doesn’t have to be a reflection on your space’s limitations; rather, it’s a chance to get creative with the space and budget available to you. 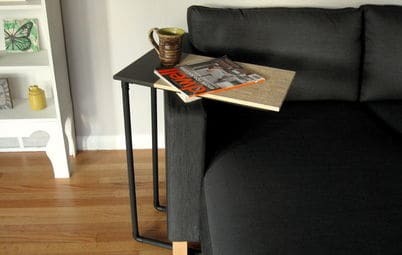 Embrace the macro-trend that is minimalism with any one of these space-conscious, DIY sofa tables. 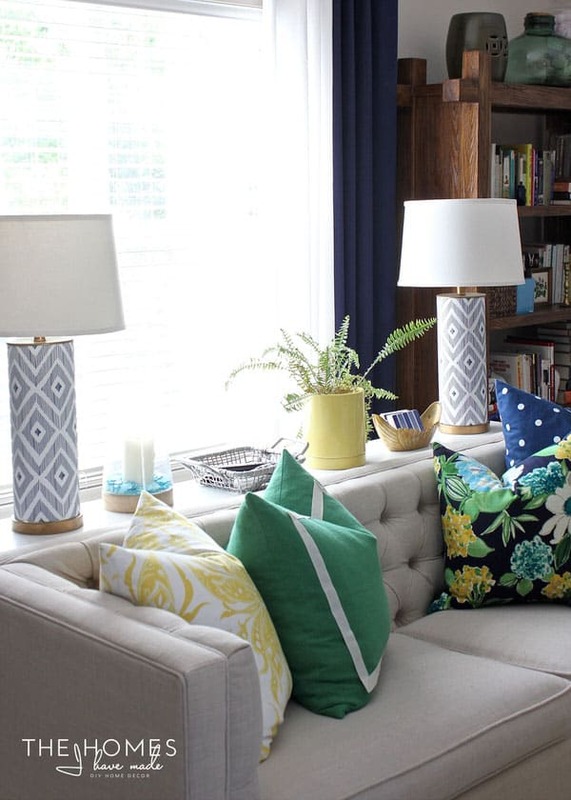 Says this DIY-er: “If you’re faced with an awkward room arrangement that doesn’t allow for side tables, I highly suggest giving a sofa table a try.” She suggests getting crafty and creative with IKEA parts – particularly the IKEA Lack shelf, which comes sanded, stained, and edged. Visit The Homes I Have Made for full instructions on how to make this IKEA parts DIY sofa table. On the blog, when we talk about “space,” more often than not we’re talking about lack thereof. But what if you’ve got the opposite problem; too much space? 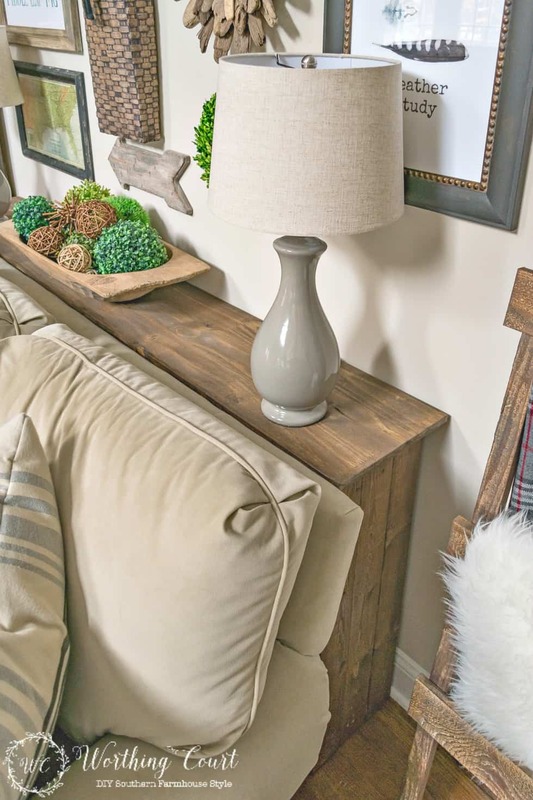 For a spacious living area with not enough furniture to fill it, a rustic sofa table like this one can provide a stylish alternative to pushing your couch flush against a wall. Visit the Worthing Court Blog for full instructions on how to make this rustic DIY sofa table. 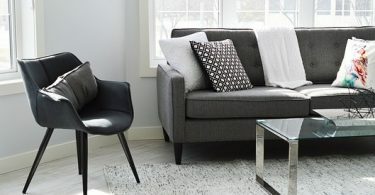 For something that takes up even less space than the aforementioned two sofa tables, we appreciate the sleek design of this homemade sofa console. This DIY-er constructed his “new favorite piece of furniture” for a mere $30.00 – a fraction of the cost of its manufactured counterparts. This simple, sturdy, and versatile “C table,” courtesy of Ana White, is so cleverly constructed, we can hardly believe it’s homemade! We love this DIY-er’s idea to paint it a vibrant shade of orange, taking it from supplementary to statement. 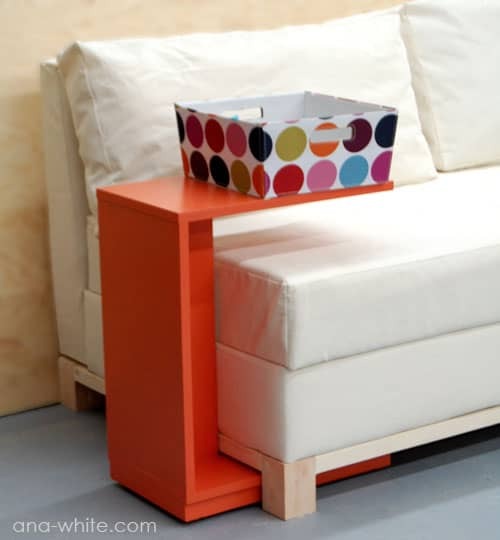 Visit the Ana White for full instructions on how to make this rolling end table. I like the rolling end table…I think even I can do that! !